In case you missed Jenna's chat with the author, we rounded up some of our favorite revelations from the discussion. Welcome to the first monthly meeting of the #ReadWithJenna book club! 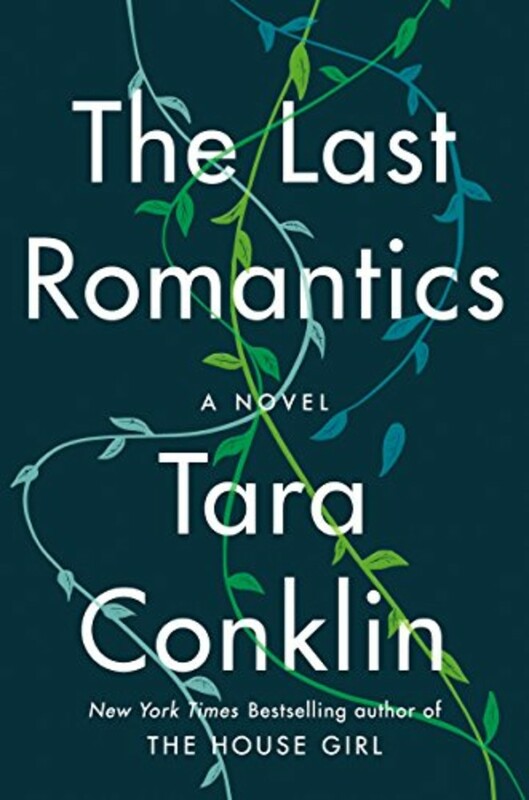 In March, Jenna Bush Hager recommended "The Last Romantics" by Tara Conklin, and so many of you read along with us. Now it's time to get talking. And who better to join the conversation than the author herself? Jenna joined Conklin for an Instagram Live discussion last week, and the author answered many of your burning questions. If you missed the conversation, watch the full video here. Conklin talked about her process for writing the book and revealed surprising insights into her characters. Read on for some of the most interesting things we learned during the conversation. In early drafts of the novel, Fiona's oldest sister, Renee, didn't grow up to become a transplant surgeon. "I really found her difficult to get at first — for example, in my first version of this novel she was a Pilates instructor," Conklin explained. "She really changed a lot, and I think because I went through that with her, I feel the closest to that character." 2. Conklin believes the young Luna is Joe's great-granddaughter. Several scenes are set in 2079, and in those scenes, Fiona interacts with a young girl named Luna who shares many traits with Joe's girlfriend, Luna (namely, a mole on her cheek and a ring suspended on a necklace around her neck), so it was thrilling to hear Conklin give a little more insight into the young girl. Jenna was noticeably shocked at Conklin's revelation, saying, "Are y'all freaking out in here!" 3. The final page of "The Last Romantics" is one of Jenna's favorite last pages of any book she's read. "I sent it immediately to my husband and my mom and to my sister, who was laying next to me when I finished it, weeping," Jenna said. "I think it's because the Skinner siblings have this dynamic that any of us who are lucky enough to have siblings or best friends that are like sisters or brothers, we know that feeling of that shared history." Remarkably enough, Conklin revealed the last paragraph actually came pretty late in the drafting process, but she was so glad that people are connecting with it. Some of the book's most suspenseful scenes take place in the future during what seems to be some kind of urgent environmental crisis. Readers get just a glimpse of that future, but it's something Conklin hopes to explore more in future novels. It took Conklin five years to complete the novel, but it wasn't until sometime during the second year of writing the book that she decided to go back and write about the Skinners' childhood and the Pause to show why these siblings are so close. "I wanted to write this family epic — this story about this multigenerational family — and really go for the kind of long shot about how their childhood impacted the rest of their lives. But I also wanted to write about contemporary women — women like me, like you, like my sisters, like my friends," Conklin told Jenna. Those goals seemed narratively opposed until Conklin had an aha moment: "What if Fiona is talking to us from the future?" After Joe's death, the Skinner sisters find the engagement ring he intended to give to Luna. With varying degrees of intensity, each sister makes it her mission to get the ring to its rightful owner. To Conklin, that ring symbolizes something very powerful: the notion that love transcends death. "You don't stop loving someone when they're gone. You still do," she said. Many readers asked why Luna agreed to meet with Fiona after so many years had passed. Conklin revealed it was in part because she wanted Fiona to know about Rory, Joe's son. Conklin thought that part of her wanted that information off her chest, because keeping that secret from them sort of "added to her guilt. ... She felt a sense of obligation to the Skinner family." At one point in the story, Noni says, "And I thought I was the last." Because all these feminist battles had been fought in Noni's generation, she thought her daughters could benefit from it — but that didn't quite come to pass. 10. Conklin thinks she'll revisit the Skinners at some point in her career. If finishing "The Last Romantics" was bittersweet, you're in luck. Conklin said she'd like to write more about this family in the future, but not right away. "I do have a lot of material about the Skinner family, and I think at some point I will revisit them, maybe in short stories," she said. There you have it! We hope you enjoyed "The Last Romantics" as much as we did and are well on your way through #ReadWithJenna's April book club pick, "The Unwinding of the Miracle." To stay involved all month long, be sure to follow us on Instagram (don't forget to tag your photos with the hashtag, #ReadWithJenna) and join our Read With Jenna Facebook group to continue the conversation.